← Life is a Journey…Embrace the Great Tapestry of Life! I Only Eat Trout is about a little boy named Joey who is consumed by worries. His perceptive teacher realizes that she needs to come up with a plan to help him with his anxiety. 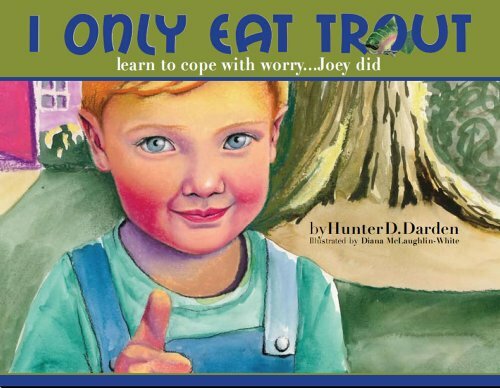 There is a “Worry Pouch” at the end of the book with sticky note pads where kids can write down their worries and stuff them away in the pouch to forget about them. There is also a Happy Thoughts Pad where they can write down the small, happy moments in their daily lives and save them under their pillow, as a reminder of all the good. 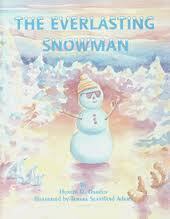 The Everlasting Snowman combines the excitement of an unexpected holiday due to snow and the recognition of the eternal nature of life, The Everlasting Snowman is a story for all ages and all seasons. The wonder and beauty of creation is recalled and represented in word and picture, a delight to ear and eye. The value of play and recreation, friendships and family are all highlighted as the children in the story join together to build a snowman family. By so doing, they discover that there is more to life than meets the eye. They discover the great circle of life–a circle that is everlasting–and so do we. The Everlasting Snowman reminds us both to rejoice in the present and to have faith and trust for the future. Nothing is ultimately lost, nothing ever taken away. The good gift of life is everlasting. The gifts of God are eternal. The Everlasting Snowman invites all, young and old, to ponder anew this truth. 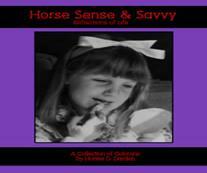 Horse Sense and Savvy is a collection of columns that I have written for The Charlotte Observer. (Iredell Neighbors) We humans are fascinating creatures with our intriguing natures and idiosyncrasies that make us who we are. Because of our interesting natures, I have been provided with great fodder for my columns. We are all on this journey called “life.” It is our responsibility to make the best of it. If we can try to lead our lives with some semblance of “horse sense” and a touch of savvy, along with generous amounts of wisdom, we can turn life into a rewarding, amusing trip through its trials and joys. 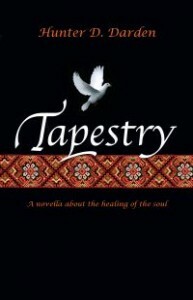 Tapestry is the saga of the heart and soul as they journey together and meet at a crossroads to form the ultimate love story. It is Olivia’s personal journey of self-discovery through a lifetime of grief resolution. It culminates into the beauty of love at its finest when Olivia finds real love all because of a simple sentence, a dove, and an unexpected letter. You know that your heart will hurt forever, but there is hope to be “whole” again. Hope would certainly be a cruel vessel, if healing were not there at the end. Healing and hope are cousins of a sort. Wisdom is not learned from living a “bed of roses”. It’s the “bed of thorns” that has the greater nourishing power. The perfect gift book for anyone suffering the loss of a loved one. This small volume is extraordinarily well-produced. The cloth hardback is covered by a charming dust cover and embellished with an inbuilt ribbon marker, as elegant books often are. The attractiveness of the book could hardly be improved. The inventive uses of lower case in the early part of the story, which show the protagonist’s loss of a sense of identity, are balanced in the latter part by upper case fonts that emphasize her recovery of her faith. Reflecting, as the photographs indicate, much of her own experience in losing family members, the story shows her journey through pain and doubt. 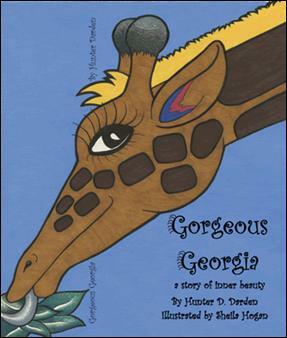 To order personalized copies scroll back to the top and click on the link or email me at hunterdarden@gmail.com. This entry was posted in Uncategorized and tagged children's books, grief, inner beauty, self-esteem. Bookmark the permalink.